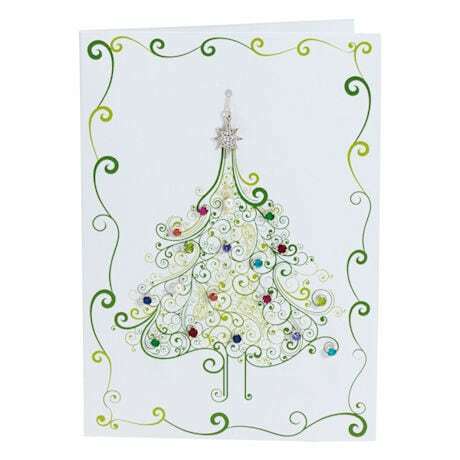 It’s a card bearing gifts for a girl or woman in your life. 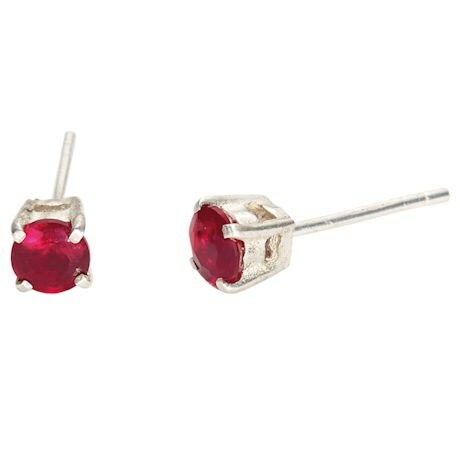 The 18 ornaments are pairs of sparkly glass crystals and freshwater pearl post earrings. 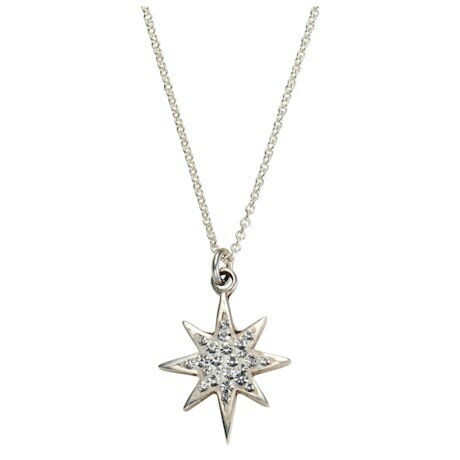 At the top, a small (½") sterling silver star with cubic zirconias hangs from a sterling chain that adjusts 16-20". Card is 5" x 7". Envelope included. Mail in a separate padded envelope.